This August, popular Northeastern American gastro-pub, City Tap®, will open in South Florida at West Palm Beach’s premiere downtown dining and entertainment destination, CityPlace. While craft beer is at the heart of the concept, it’s certainly not the only focus. Executive Chef Brian Stevenson presents a refined American-regional cuisine featuring artisanal brick oven pizzas and flatbreads, mussels four ways, plenty of vegetarian options, and composed dishes from lemon-herb chicken to crispy Florida red snapper. 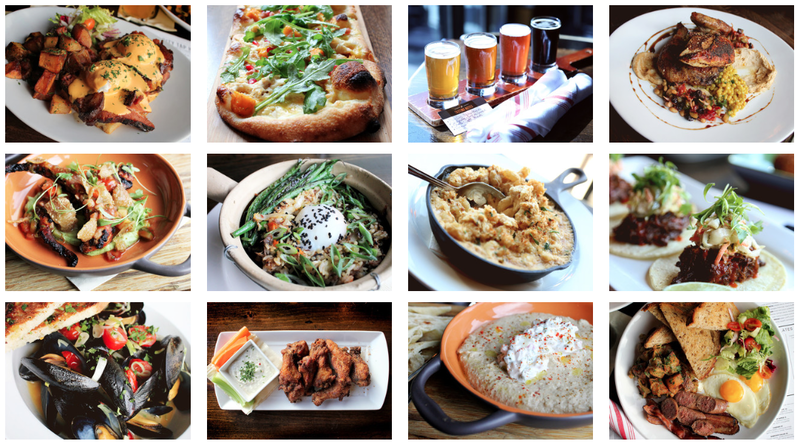 City Tap® has truly updated the gastropub experience. Food is prepared with integrity and intention, elevating the individual characteristics of each ingredient. Paired with a vast selection of draft, cask, and bottled craft brews from local, regional and specialty breweries, dining at City Tap® is part of an experience that is uniquely American. Tradition and innovation drives craft breweries to produce the very best beers; and the culinary team at City Tap® follows suit by designing a menu with thoughtful, quintessentially American cuisine. While their mission is to tirelessly seek out the most innovative and exciting breweries available in the ever-evolving craft beer market, City Tap® also offers delicious craft cocktails and an international and eclectic selection of wine. City Tap ® will provide a rustic yet comfortable dining atmosphere with reclaimed barnwood and repurposed steel. Guests can enjoy private dining that can accommodate up to 50 seated guests as well as a lively bar scene, both indoors and outdoors, with a 15-foot multiscreen television and an open view of the kitchen. “We have worked for years to bring City Tap to West Palm. We couldn’t be more excited to finally be apart of the community where I have grown roots over the last decade. We’re looking forward to sharing our love for craft beer and our dedication to an unique culinary experience,” said Chris Coco, Owner & CEO of Table 95 Hospitality Group, LLC. With daily happy hour specials featuring $1 raw oysters, exciting weekend and late night entertainment, and brewery-centric special events, City Tap® provides locals and visitors with the best bar and restaurant experience in West Palm Beach. City Tap® will serve lunch and dinner seven days a week from 11 a.m. to 11 p.m., and brunch with an unlimited Champagne and Bloody Mary’s Bar every Saturday and Sunday.